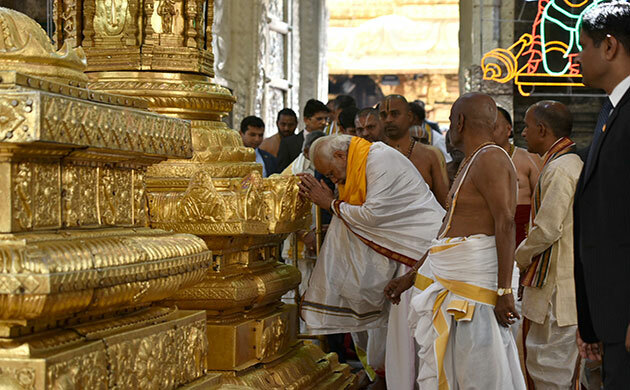 Prime Minister Narendra Modi on Tuesday offered prayers at the Lord Venkateshwara temple atop the Tirumala in Tirupati. Accompanied by Andhra Pradesh Governor ESL Narasimhan and Chief Minister N Chandrababu Naidu, he visited the hill shrine. 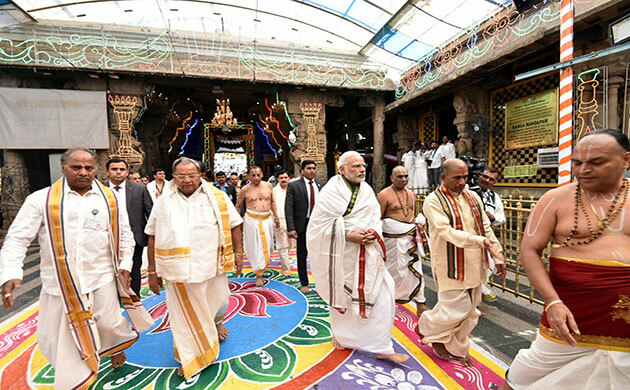 After inaugurating the Indian Science Congress at Sri Venkateswara University in the temple town, Modi went to the temple. A thick security blanket was thrown over Tirupati and Tirumala in view of the Prime Minister's visit and the Science Congress. He inaugurated the five-day annual Indian Science Congress being held at the Sri Venkateswara University in Tirupati. 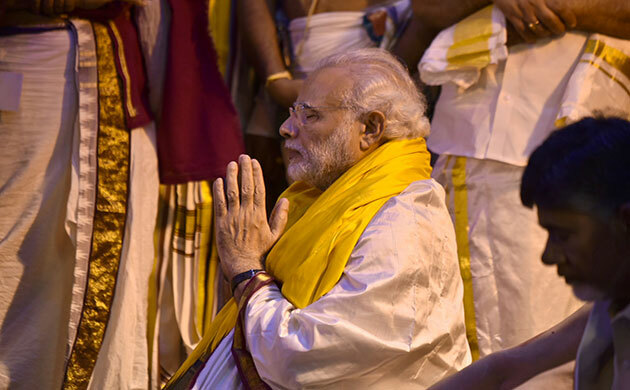 The Prime Minister, Shri Narendra Modi offering prayer at the Sri Venkateswara Swamy Temple, in Tirupati, Andhra Pradesh. Accompanied by Andhra Pradesh Governor ESL Narasimhan and Chief Minister N Chandrababu Naidu, he visited the hill shrine. 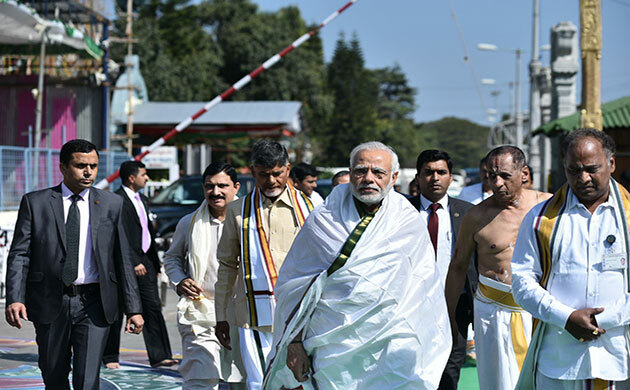 A thick security blanket was thrown over Tirupati and Tirumala in view of the Prime Minister's visit and the Science Congress. 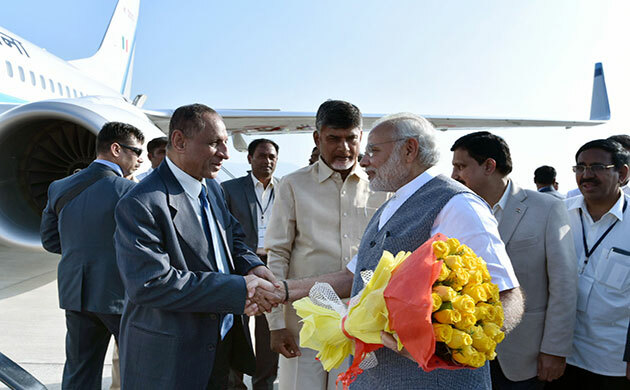 The Prime Minister, Shri Narendra Modi being seen off by the Governor of Andhra Pradesh and Telangana, Shri E.S.L. Narasimhan and the Chief Minister of Andhra Pradesh, Shri N. Chandrababu Naidu, on his departure from Tirupati, Andhra Pradesh.